Software testers play a significant role in the development of applications. They are the ones who ensure end-users aren’t left trudging through slow page loads, hitting bad error messages, or encountering bugs. They live and breathe “quality”. But being a software tester isn’t easy. While testers aren’t typically writing code, they need to be able to understand the fundamentals of software applications in order to successfully conduct tests on the code. It takes a unique set of skills to be a successful, versatile software tester, and becoming one doesn’t happen over night. Many testers find themselves in technical support roles or other customer facing roles like project management before becoming a tester. These roles help prepare for what is expected as a software tester and can provide an understanding of how to talk to developers. Knowing what goes into building software from the ground up is crucial as a tester, and working in a support capacity really throws you into a wide range of problems that help build this understanding. When you’re on the front lines, you quickly learn what quality is and what it isn’t. Starting with a support role can be especially impactful if you’ve never held a role with a software development team before. Software testers need to understand the languages they’re testing so they’re able to communicate issues effectively to their developer counterparts. Any type of testing beyond testing the functionality of an application will require a solid understanding of multiple languages and frameworks. The more technical you are as a tester, the more marketable you will be. These technical skills will also be helpful if you’re going to be writing automated test scripts. As with any new skill, it’s better to get started early, but it’s never too late to start. I’m a big believer that any job seeker (no matter the industry) should build a network. By networking, you create opportunities and open doors. A particular door might not be open now, but it can certainly become open later. Building relationships with other testers and software industry experts can lead to a number of opportunities from jobs, to new skills. Meet other testers and talk to them; see how they got into their role, see what techniques, tools, and languages they know / don’t know. There’s no shortage of content out there about how to become a <fill-in-the-blank>. Do your home work before you start applying to software testing jobs. If you want to become a software tester, follow blogs, newsletters, and join communities. Seek to become an expert in the field. By getting an understanding of the software testing industry first, you’ll be more prepared for when you land that first interview. Being able to talk intelligently and informed about software testing will place you ahead of the pack. While certifications aren’t absolutely necessary, they can certainly help. Any certification (assuming it’s a respected organization) will build your personal brand and expand your knowledge. The most popular software testing certifications come from the International Software Testing Qualifications Board (ISTQB). They offer a variety of certifications at different experience levels. It takes a lot of work and preparation to be able to step into a role for the first time and be successful. This is no different when it comes to wanting to become a software tester. You need to take the time and effort required in order to be considered as a potential candidate. This might mean taking a non-testing role within an organization first, or doing some extra training, or both. 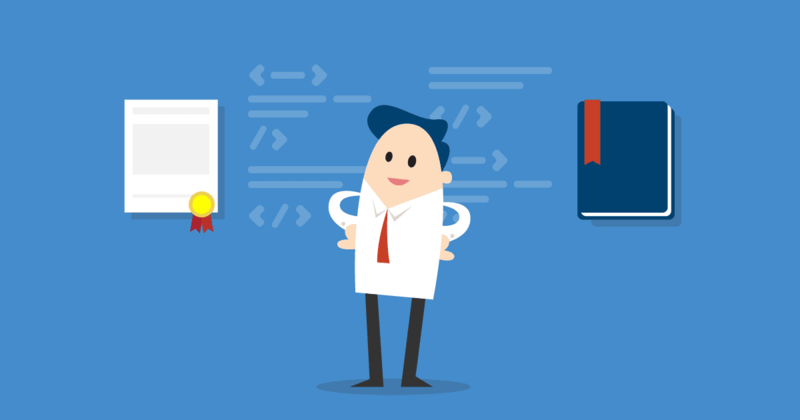 To learn more about what it takes to become a software tester, check out our post on the characteristics of a good software tester. Jake is a guest author for SoftwareTester.Careers. He has a background in software testing, customer support, and project management.